On the downstream side is the weir. On the upstream side are (will be) three pump stations. under construction in the background? It is those pump stations, combined with pulling out the elevated roadbeds and filling in the canals, that will help spread the water out as sheet flow downstream as shown below. 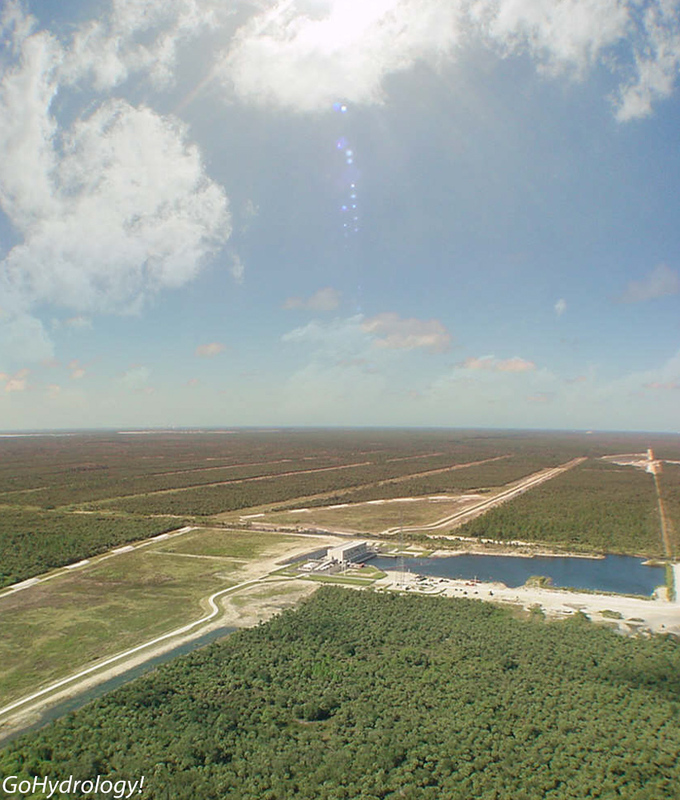 It's been an Everglades Restoration project a long-time in the making.